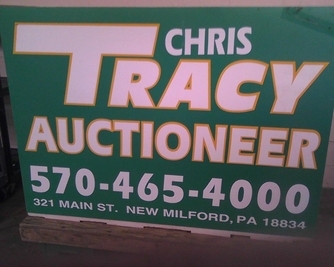 Farm Auctions, Estate Auctions, Liquidations, Real Estate Auctions..
Tingley Lake Rd, Harford Pa.
Porsche convertible, 2015 Toyota 4-Runner, Plow Trucks, Western Plow (3 plow trucks), John Deer Zero Turn (Z997) Diesel Mower, John Deer (4120 Hydrostat) Tractor with 400x front end loader, CanAm 4x4 500 Quad, John Deer Gator side by side, Ski Doo Snowmobile, 2015 Enclosed Trailer, GMC Firetruck, Boat (Starcraft 1800 limited sport boat and trailer (6cly). , Antiques Including an original early Hoosier cabinet, Household, Picnic Tables, Gas Grills, RC Planes, and much, much more. See photos.. There will be some high end merchandise so mark your calendar now.